Picture was taken recently of a maintenance shed on the CSXT right of way in Batavia, NY. 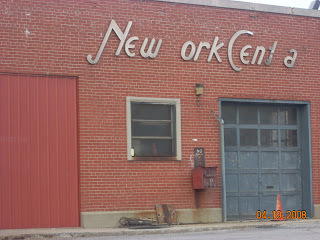 Any info on the art deco New York Central? Was it a transplant from some "modern" station? Seems like a waste to put stainless steel letters on a shed.